Neem oil is extracted from the seed contained within the fruit of the neem tree. It is antifungal and antibacterial and contains Azadirachtin as the active ingredient. The Fall armyworm (Spodopteraexempta) also called Okalombo or Nutgrass, belongs to the moth family, and mostly feeds on the leaf and fruit of crops, so devastating crop yields. In the last quarter of 2017 and first quarter of 2018, the Fall armyworm infested many farming communities in most regions in Ghana. 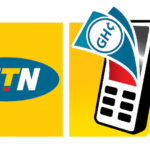 This prompted the Ghana Government to initiate a project to curb this menace by inviting private companies and organization to tender for a control project. Green-Gro Ltd, a 100% Ghanaian company and one of very few manufacturers of organic agricultural productsin West Africa, won the bid for the control of the Fall armyworm following the successful use of its organic ‘Gro-Safe’ (active ingredient AZADIRATIN) pest controller in comparative field trials that engaged several manufacturers’ different selected products. Green-Gro is now under contract from the Ministry of Food and Agriculture and supplying ‘Gro-Safe’ to farming communities started with Brong Ahafo, Western and Greater Accra Regions, and is then under an additional contract, to include the three Northern Regions. Dr Abudulai Mumuniand Dr.Nboyine J. Asalma (Entomologists with CSIR) conducted a research project on the comparative efficacy of Green-Gro ‘Gro-Safe’ Neem oil, and other organic and non-organic products, to evaluate the efficacy of these products on the control of Fall armyworm. The following is the summary of thisResearch Report, with acknowledgements and thanks to CSIR and Dr. Mumuni and Dr. Asalma. 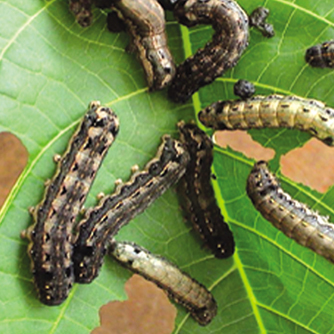 Fall armyworm(FAW) is an economically important insect pest that was accidentally introduced into Ghana. 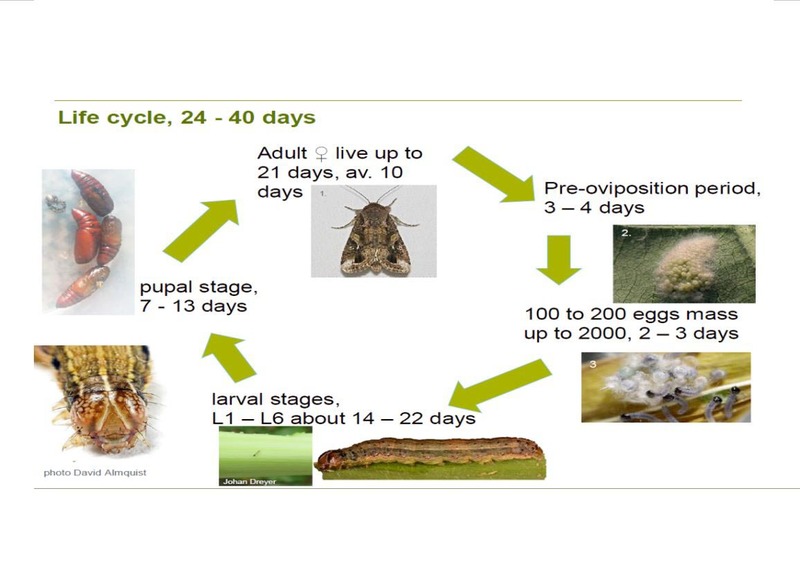 This pest has become a threat to Ghana’s food security as it is more devastating on maize,the major staple crop. To minimize its effect on resource-poor farmers, field experiments were conducted at Bamahu and Nyankpala in the upper west and Northern Region respectively to test the efficacy of a botanical pesticide, neem seed oil (NSO) for the management of this insect in maize. The insecticide recommended for FAW in Ghana [Agoo(Bacillus thuringiensis) KD215,EC,K-Optimal(Lambda-cyhalothin + Acertamiprid)} were also included.The results showed that Neem Seed Oil(NSO) effectively lowered FAW densities and damage comparable to the recommended insecticide treatments. Grain yield in NSO protected maize (3.0 t/ha) also was not significant different from those protected with the insecticide (2.9-3.3 t/ha). These findings suggest that Neem Seed Oil(NSO) can be used effectively to manage FAW in maize and other major crops in Ghana.